I am sending you this information on behalf of Social Investigations blogspot.com who would be grateful if you could take a look at the following list of politicians with links to private health interests/organisations which we feel is something that should be noted and taken into consideration when voting takes place with any connection to the debate on the National Health Service. It is obvious that with these vested interests there is a conflict of interest and many who have seen this list are quite frankly shocked that this situation exists whereby those with vested interests can and are voting in favour of policies which could benefit those interests through the promotion of the further privatisation of the NHS. This list represents the dire state of our democracy. The financial and vested interests of our MPs and Lords in private healthcare. Why are these people allowed to be in charge of our NHS, to vote on a bill that they clearly have something to gain from. Who cares that they have put it in the register of interests. This doesn’t excuse their interests, it merely highlights clearly why they should have no part in voting for the privatisation of the NHS. It is privatisation, despite the media’s continued use of the word ‘reforms’. The question must be asked. Are they public servants or corporate servants? I start with the Lords predominantly taken from the Daily Mirror research:<http://www.mirror.co.uk/news/uk-news/nhs-reforms-d-day-40-peers-84917> These are also available in register of interests. In addition to the list below research by Dr <http://www.blogger.com/goog_262200325> Éoin Clarke<http://eoin-clarke.blogspot.com/2012/02/333-donations-from-private-healthcare.html> - has revealed 333 donations from private healthcare sources totalling £8.3 million has been gifted to the Tories. Here is the database <https://docs.google.com/spreadsheet/pub?key=0AvPxCSAhNlENdF9fRVVSM085TFlpWDFjRzZZSjM1RkE&output=html> of those donations and 'gifts'. Baroness Bottomley of Nettlestone: Conservative - The former Conservative Health Secretary Virginia Bottomley is a Director of BUPA, the health insurance, private hospital and care group. Lord Naseby: Conservative - Chairman of and a share-holder in Invesco Perpetual Recovery Trust. One fifth of their investments are in pharmaceutical and biotechnology companies. Lord Wakeham: Conservative - Advisor to L.E.K. Consulting, which specialises in helping private healthcare companies identify "growth and new business development" and "opportunities with the government". Lord Hunt of Wirral: Conservative - Partner in Beachcroft, a law firm that offers incisive analysis on the full range of government, parliamentary and regulatory matters in the health sector. Lord Lang of Monkton: Conservative - Director of Marsh & McLennan Companies that "help hospitals, insurers, pharmaceutical companies and industry associations understand the implications of changing policy environments". Lord Darzi: Labour - Former surgeon drafted into government as a health minister by Gordon Brown when he was PM. Now an adviser to medical technology firm GE Healthcare. Baroness Cumberlege of Newick: Conservative - Former Tory health minister, runs Cumberlege Connections, a political networking firm that works "extensively" with the pharmaceutical industry. 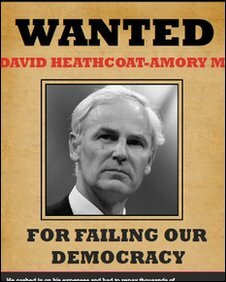 Used to be non-excutive director of PR firm for healthcare huntsworth PLC, of which Lord Chadlington is Chief Executive. Former executive director of healthcare consulting firm MJM healthcare solutions. Baron Higgins of Worthing: Conservative - Holds in excess of £50,000 of shares in Lansdowne UK Equity Fund, backers of private hospital group Circle Holdings. Baron Newton of Braintree: Conservative - Advisor to Oasis Healthcare on dentistry and general healthcare matters. Baroness Hogg of Kettlethorpe: Crossbench - Chair of Frontier Economics, a consultancy that advises private sector clients on the impact of healthcare reforms and how "to shape regulatory environments". Lord Freeman: Conservative - The ex-health minister is chairman of the Advisory Board of ­PricewaterhouseCoopers, which claims to have “been at the heart of shaping [healthcare] reforms and working with clients to respond to the opportunities they present”. Lord Ribeiro: Conservative - Adviser on hospital reorganisation to PricewaterhouseCoopers. Lord Blackwell: Conservatives - Chairman of Interserve, consultancy to NHS and private healthcare firms. Quotes on bill: We are now 10 years further on from that and it is important that the changes are not lost in the voices that will always oppose changes that are necessary to reform the way that the NHS works. I hope that, while listening to those voices, the Minister<http://www.theyworkforyou.com/glossary/?gl=35> can assure us that these essential reforms will be carried through and that the period of uncertainty for the NHS will not be any longer than it needs to be before we can get to the kind of reformed NHS that we all want to see. Lord Blyth of Rowington: Conservative - Senior adviser to investment bankers Greenhill. Former Boots Chemists deputy chairman. Tory Donor. Stands to gain from the break up and privatisation of the NHS wants and would surely like to buy the Walk in Centres at an agreed cut-price with Cameron. Lord Forsyth of Drumlean: Conservative - Senior adviser to Evercore, bank involved in huge healthcare deals. Lord Garel-Jones: Conservative - MD of UBS bank, whose healthcare division earned the firm over $1billion since 2005. Lord Griffiths of Fforestfach: Conservative - Director of Goldman Sachs bank, provider of services to healthcare firms. Lord Howard of Lympne: Conservative - Senior adviser to Hawkpoint Partners, a corporate finance firm. Provide staff to NHS and Private Healthcare providers. Lord Howard replaced Douglas Hurd in early 2011, thus keeping the connection of influence in parliament. Andrew Lansley met Hawkpoint partners for dinner on 30th June 2011. What was said? Lord Tugendhat: Conservative - Adviser to Trilantic Capital Partners, a private equity firm “active” in healthcare. Lord Coe: Conservative - In February 2011 became Director of AMT-Sybex Group, IT supplier to the NHS. Same company that paid for a trip of former MP Robert Keys. Lord Magan of Castletown: Conservative - Director of the SISK Group of healthcare companies. Lord Ballyedmond: Conservative - Chairman of pharmaceutical company Norbrook Laboratories. Lord Chadlington: Conservative - Chief executive of Huntsworth communications group with several lobbying firms. Baroness Hooper: Conservative - Until July 11, chairman of Advisory Committee of Barclays Infrastructure Funds, one of the most experienced investors in hospital PFI deals. Lord Ashcroft: Conservative benches and funder - Until 2010, held investments in two private healthcare groups. Lord Leitch: - Labour Bupa chairman. Lord Filkin: Labour - Adviser to outsourcing giant Serco, heavily involved in NHS services. Lord Harris of Haringey: Labour - Senior adviser to business services giant KPMG. Lord Puttnam: Labour - Director of Huntsworth communications group. global public relations and integrated healthcare communications group. Did not stand for the board this year (2012). Lord Warner: Labour - Former adviser to Apax Partners, one of the leading global investors in the healthcare sector. Current director of Sage Advice Ltd. Works as an adviser to Xansa, a technology firm, and Byotrol, an antimicrobial company, which both sell services or products to the NHS” and was “paid by DLA Piper, which advised ministers on the £12 billion IT project for the NHS” projects that he was responsible for when he was a government minister. Lord Evans of Watford: Labour - Director of healthcare property firm Care Capital. Baroness Morgan of Huyton: Labour - Ex-director of failed care home firm Southern Cross. Lord Clement-Jones: Liberal Democrats - Partner in DLA Piper, a global law firm providing lobbying services to “clients in the health and social care sectors”. Lord Taverne: Liberal Democrats - Chairman of private health insurer Axa Sun Life’s monitoring board. Lord Patten of Barnes: Conservative - Adviser to private equity firm Bridgepoint. Lord Currie of Marylebone: Crossbench - Chairman of Semperian, an investment vehicle, which owns a portfolio of mature Public Private Partnership investments, including hospitals. Lord Hameed: Crossbench - Chair of private secure mental health hospital group Alpha Hospitals, which is investing in a new acute private hospital in central London. David Cameron - Nursing and care home tycoon Dolar Popat has given the Conservatives £209,000. The Ugandan-born dad-of-three has amassed an estimated £42million fortune as founder and chief of TLC Group, which provides services for the elderly. Mr Cameron made the businessman a peer shortly after entering No10 last May, and Lord Popat’s donations include a £25,000 gift registered a week after the Tories’ health reforms were unveiled last July. Andrew Lansley - Conservative - John Nash, the chairman of Care UK, gave £21,000 to fund Andrew Lansley’s personal office in November 2009. In a recent interview, a senior director of the firm said that 96 per cent of Care UK’s business, which amounted to more than £400 million last year, came from the NHS. - Hedge fund boss John Nash is one of the major Conservative donors with close ties to the healthcare industry. He and wife Caroline gave £203,500 to the party over the past five years. The “hedgie” is also a founder of City firm Sovereign Capital, which runs a string of private healthcare firms. Fellow founder Ryan Robson is another major Tory donor who has given the party £252,429.45. Nick de Bois, Conservative MP for Enfield North - De Bois is the majority shareholder in Rapier Design Group, an events management company heavily involved with the private medical and pharmaceutical industries, and whose clients include leading names such as AstraZeneca<http://www.guardian.co.uk/business/astrazeneca>. The company was established by the Tory MP in 1998. Last year it had a turnover of £13m. Last April, Rapier Design purchased Hampton Medical Conferences to “strengthen the company’s position in the medical sector”. It is involved in running conferences and other events for private-sector clients, and for NHS hospitals. Chris Skidmore, Conservative MP for Kingswood who sits on the Health Select Committee received a payment of £3,500 for 4 hours work <http://www.publications.parliament.uk/pa/cm/cmregmem/111129/111129.pdf> - giving speeches to STAC Consultancy http://www.stac-consultancy.com/ which specialises in the launch of pharmaceutical products, strategic branding and medical education. Chris Skidmore's family also owns a company called Skidmore Medical http://www.skidmoremedical.com/, which appears to be solely selling a physiologic Vascular testing equipment. The company made a donation to him of £7,500 in June 2010 which also appears onregister of members interests<http://www.publications.parliament.uk/pa/cm/cmregmem/111129/111129.pdf>. Frank Field – Labour Birkenhead MP – is a non-executive director of Medicash Health Benefits Ltd a private health insurance company – he was appointed Chairman of the board on 20th of June 2011. Frank Field has worked with Medicash for 8 years having first been appointed as a non-executive director in 2003. The register of interests says his role is to ‘attend meetings offer advice.’ For this work he receives a monthly payment of £1,030, which according to the Medicash website will be given directly to local charities. What’s the problem with this? Less so than some others, but private health companies are set to profit massively if the bill goes through. Stephen O’Brien Eddisbury MP - Conservative - Stephen O’Brien’s office received three payments totalling £40,000 from Julian Schild. Mr Schild’s family made £184million in 2006 by selling hospital bed-makers Huntleigh Technology. Mr O’Brien was moved to International Development after the election. Mark Simmonds, Conservative as a shadow health minister, accepted a trip to the United States to look at hospitals there from Bupa UK. Mr Simmonds missed out on a ministerial job in the government. Mark Simmonds, who was a minister when the controversial reforms were drawn up, is paid £50,000 a year to work just 10 hours a month as “strategic adviser” to Circle Health, the first firm to win control of an NHS hospital: http://www.mirror.co.uk/news/politics/2011/10/26/tory-mp-cashing-in-on-nhs-break-up-with-second-job-at-health-firm-115875-23515038/#ixzz1dJFD7uKw - Mark Simmonds accepted a US trip to Boston worth £4,982 from private health provider BUPA. Mark Lloyd Davies - Conservative failed candidate a French pharmaceutical company gave a job to this prospective Bristol South Tory http://www.newsoftheworld.co.uk/notw/news/696096/Tories-paid-an-unhealthy-sum-Quiz-over-MPs-private-firm-links-Health-Ministers.html - According to the Conservative website: "Mark is the UK head of the pharmaceutical government affairs and communications team in the world's largest healthcare company [Sanofi-Aventis], so he's already familiar with the workings of Westminster." Simon Burns Conservative - Chelmsford MP - attended an oncology conference paid for by Aventis Pharma - a five-day trip to the US funded by a leading drug firm. Jonathan Djanogly – Conservative MP - His office received payment of £1,900 on 01/11/2001 and declared it on 30/01/2002 from Huntleigh Healthcare Ltd, 310-312 Dallow Road, Luton. The company manufactures medical, orthopaedic equipment and instruments for measuring and is part of Huntleigh International Holdings Limited of the same address. They are a member of the Getinge Group, a Swedish based group of companies who are split between Healthcare and Life sciences. The acquisition of Huntleigh by Getinge took place in 2007. Helen Whately - Former Conservative parliamentary candidate. Has shrugged off any suggestion of a conflict of interest, after it emerged she works for the same consultants helping draw up plans which could see the A+E or maternity unit at Kingston Hospital removed. Her website states she works as a management consultant specialising in healthcare, mainly in the NHS but does not mention her employer McKinsey. Robert Key – former MP for Salisbury – stepped down before the last election due to health reasons - 2-3 September 2002, panellist at Executive Brief 2002 at Gleneagles Hotel. Travel and hospitality paid by the organisers, AMT-SYBEX of Letchworth. AMT-Sybex Group, is IT supplier to the NHS. Lord Coe is now a Director of AMT-Sybex Group ensuring parliamentary access. Liam Fox – Former Conservative MP – became shadow health secretary in 1999 – employs Adam Werrity as a paid intern in 2004 – by this time Adam Werrity becomes a director of health consultancy firm ‘UK Health Ltd’ (now dissolved), while Liam Fox was shadow health secretary of which he and Liam Fox were shareholders. Werrity owned 11.5% of UK Health Group and Fox owned 2.3%. In 2005 a researcher based in Mr Fox’s office worked ‘exclusively’ for the now closed Atlantic Bridge ‘charity’, which Liam Fox was the founding member; Mr Werrity became director, and which had links to radical right-wing neocons in the U.S. The researcher received funding from Pfizer<http://powerbase.info/index.php/Pfizer> Inc. He claimed ‘she has no function in any health role.’<http://powerbase.info/index.php/Liam_Fox_Register_of_Members_Financial_Interests#Register_as_at_28th_September_2011> The researcher was Gabby Bertin, who is now David Cameron's press secretary. The Lib Dems have received a total of £440,000 from a private care home provider called Alpha Health care Ltd. The company is run by Harberry Investments in the British Virgin Islands a tax haven island and has been giving the Liberal Democrats yearly payments since 2004 with the exception of 2009. In addition to this sum, Bhanu Choudhrie who is listed as a shareholdera in Harberry and also director in Alpha Healthcare, according to Companies House and he gave two donations of £10,000 in 2004, and £20,000 in 2008 to the party. However Bhanu’s Father Sudhir Choudrie who has been accused in several cases filed by the CBI alleging manipulation and bribery in defence purchases has also given 3 individual sums totaling £95,000 in 2006. Policy exchange is intimately involved with healthcare - they provide Spads, MP's and Ministers in this Government and are linked to far right US lobbyists and Think Tanks funded by Koch, tobacco, oil etc. Hello - thanks for putting this list up here. I work for Social Investigations and this list is an alarm signal to our democracy. Keep spreading the word to fellow MPs in time for the Lords sitting and follow on twitter @socialindepth for more on this topic. There is an book called "The Great Divestiture" which is based on an academic analysis of the results of the privatization in the UK. This debunks the idea of improvement in efficiency and reduction in costs. I think it is long past time to call on reform of the use of the word reform in politics. At the very least, it should be kept to a general sense of remaking rather than be considered to carry any implication whatsoever to improving. It's use should be forbidden when the actual intention is to unmake rather than remake, with penalties such as immediate triggering of a by-election as a minimum for those who misuse it in that way.